There are many problems with the death penalty, both in South Dakota and throughout the United States. Some of our members believe capital punishment is inherently wrong. Others believe the death penalty is too broken to fix. However, we are united in our pursuit of abolition! In this economic climate, when our state is struggling to make ends meet, legislators should be searching more judiciously than ever for programs that are costing the state and our counties large sums of money but providing no real benefit to citizens. Despite the common misperception that the death penalty is a cheap alternative to life imprisonment without parole, cost studies across the United States have found otherwise. These studies have been conducted by research organizations, public defender offices, legislative committees, and the media. They have all found the same general conlcusion--the death penalty system is far more expensive than a system with life without parole as the maximum sentence. The resources that are spent trying to put people to death could be used in ways that make South Dakota a better place to live. This money could go to increasing the resources of our police, creating victims' services programs, building and improving roads, improving our education systems, etc. To view the Death Penalty Information Center's report on the costs of capital punishment and the priorities of police chiefs around the country, click here. Most the costs come during the initial trial, which have been found to be as much as sixteen times the costs of comparable non-death cases. Cost studies in other states have found that the costs of the initial trial make up 49 to 86% of the total costs of the death penalty. All capital trials that result in convictions in South Dakota are required by law to have two parts. The first part decides guilt or innocence. If the jury finds the defendant guilty, then there is another hearing to sentence the defendant. If the jury unanimously recommends death, then the defendant is given a death sentence. If at least one jury member does not recommend death, then the defendant is given a life sentence (which here in South Dakota means life without possibility of parole). If the sentencing hearing results in a death sentence, then by law the case must be reviewed by the State Supreme Court, which results in more costs. In addition to this, the individual convicted and sentenced to death has access to many appeals, to both his conviction and to his sentence, which delays the carrying out of the sentence. If we look at the two people currently on death row, Donald Moeller and Charles Rhines, it has been nearly two decades since their convitions. The only reason Elijah Page was executed after only six years is because he gave up his appeals voluntarily. There are also incarceration costs. By law, every defendant sentenced to death in South Dakota must be segregated from all other inmates until execution, which as we have seen, may be a very long time. The California Commission on the Fair Administration of Justice (2008) found that California's death penalty system costs $125.5 million annually above the cost of a system with a maximum penalty of life incarceration. A study of Maryland's death penalty system by the Urban Institute (2008) forecasted that the lifetime expenses of capitally-prosecuted cases since 1978 will cost taxpayers $186 million. This translates to at least $37.2 million per execution. A report by New Jersey Policy Perspectives (2005) found that New Jersey's death penalty system cost taxpayers $11 million a year over the cost of an alternative system with life without parole as the maximum punishment. New Jersey abolished the death penalty in 2007. A report by the Tennessee Comptroller of the Treasury (2004) found that death penalty trials cost 48% more than the average cost of trials in which the prosecutors seek life imprisonment. The State of Kansas (2003) issued a report that found that capital cases are 70% more expensivethan comparable non-death cases. The study included all costs to execution or end of incarceration. For more details on cost studies, click here. In 2011, the U.S. Court of Appeals for the Sixth Circuit upheld the bar to re-prosecution. (D'Ambrosio v. Bagley, No. 10-3247, Aug. 29, 2011). Even the dissent referred to the state's "remarkable inability to competently prosecute D'Ambrosio." The state appealed this decision to the U.S. Supreme Court mainly on jurisdictional grounds, but was denied certiorari on Jan. 23. (Bagley v. D'Ambrosio, No. 11-672, denying cert.). Vann was originally convicted and sentenced to death in 1994 for a sexual assault and murder of his own daughter, Necia Vann, in 1992. However, in 2008 following state post-conviction review, Circuit Court Senior Judge Donald P. Harris held that Vann was entitled to a new trial because his defense attorneys failed to hire forensic experts to challenge the state’s allegations of sexual abuse. (Vann v. State, Order, Post-conviction No. 99-312, 10th Judicial Dist., McMinn Cty., May 28, 2008). Judge Harris wrote that this failure led to Vann being convicted on “inaccurate, exaggerated and speculative medical testimony." (Id. Memorandum, at 23). At the post-conviction hearing, forensic experts contradicted the state’s earlier testimony and said there were no signs of recent sexual abuse on the victim. Judge Harris described the failings of Vann’s original attorneys as “not only prejudicial, but disastrous.” (Id.) The state elected not to appeal this ruling, though it did try to find grounds for a conviction on a lesser offense. Ultimately all charges were dropped by the state on September 22, 2011. Many may argue that the death penalty is worth this cost because of its deterrence value. There is the thought that the death penalty prevents murders because it deters potential murderers who would not be deterred by life imprisonment alone. Such doubt in the deterrence effect on potential murderers has also penetrated the minds of the general public, as a 2008 study found that only 34% of the public believes that the death penalty serves as a deterrent to murder. 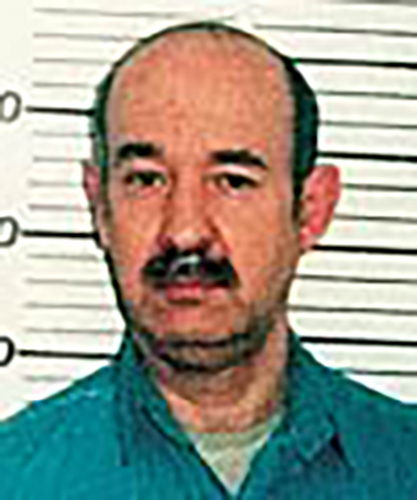 Potential murderers are rarely in a position in which they strongly consider the consequences of that crime and even if they are, it is extremely unlikely that a potential murderer would be willing to kill when faced with life without parole but would not when faced with possible execution ten to twenty years after the crime. Many murders happen in the heat of the moment, when the offender is irrational and would not consider the possible legal consequences of his/her crime. Even in planned murders, the offender rarely expects to get caught, and if he/she does, it is unlikely that he/she would be deterred by any punishment. Of course, the question of deterrence is completely irrelevant if the potential murderer does not know his/her state’s punishment for the crime of murder, which is a likely possibility. And for South Dakota, if the potential criminal does know the situation of the death penalty, such knowledge is very unlikely to deter. Consider, since the death penalty was reinstated in 1979 in South Dakota, there have been over 410 murders in the state. Also since 1979, there have been five people sentenced to death in the state. And of those five people, only one (a volunteer) has actually been executed. The chance of receiving a death sentence if you kill someone in South Dakota is barely over 1% and the chance of actually being executed is even less. For more information on the death penalty and deterrence, click here. In the wake of the horrific murder of correctional officer Ronald "R.J." Johnson by two inmates, many have said that executions would make the prison safer. SDADP disputes that. The threat of execution obviously did not prevent this crime. In fact, as Eric Robert and Rodney Berget both requested the death penalty, the prospect of execution seems to have been more a way out for these two prisoners than an effective deterrent. If they were properly monitored in prison, Robert and Berget would be unable to commit another crime. While they are on death row, these two individuals will be kept from hurting another person. There is no reason the security measures that are in place to prevent Robert and Berget from assaulting anyone cannot be continued indefinitely. If you look at the nation as a whole, this crime was an aberration. Multiple studies that have been completed since capital punishment was reinstated show that prisoners sentenced to life without parole do not pose any more threat to other prisoners or corrections personnel than do inmates in the general population, and in most cases “lifers” perpetrate fewer crimes in prison than those eligible for parole. Between 2001 and 2007, states with the death penalty had considerably higher prison murder rates on average (4.25/100,000, with four of 38 states reporting no prison homicides in that time period) than those states without the death penalty (.92/100,000, with 7 of 12 states reporting no prison homicides). "The death penalty is not needed to increase prison safety. Prisons have a system in place that can provide incentives for good behavior and effective punishments, such as long-term solitary confinement, that can prevent inmate violence. From my experience, with proper monitoring and safety precautions, any inmate violence can be stopped before the prisoner has a chance to hurt anyone." "I've been in this system for over 40 years. I’ve been held hostage and been through multiple prison riots. If someone told me that the death penalty would protect me as a corrections officer, I would be offended. Safety inside prisons depends on proper staffing, programming, and effective reintegration of inmates back into society. The death penalty does not safeguard anybody." "A well-managed prison with proper classification and staffing can create incentives for lifers to behave while segregating and punishing those who are a threat before violence ever occurs. Our prison system already knows how to do this. The reality is that the death penalty is not, and never has been, a deterrent. Prison safety depends on proper staffing, equipment, resources and training. Certainly the money spent on trying to put someone to death for over 20 years could find better use in addressing those practical needs of our correctional system." Click here for more details on the death penalty and prison crime. A popular argument in favor of the death penalty is that it is what the murder victims' family members want. However, for many victims’ families, the complex appeals, which are required by the U.S. Supreme Court, and the resulting delays, reversals, and stays of execution, are reason to reject capital punishment in favor of sentences of life in prison. Issues such as the race of the victim, the geography of the crime, and the wealth of the offender can all be extremely influential in whether the defender receives life imprisonment or a sentence of death. A study on the death penalty in Ohio found that murderers are 3.8 times more likely to receive a death sentence if their victim was white than if their victim was black. Studies done in North Carolina, Arkansas, Missouri, Connecticut, Maryland and Pennsylvania have all found similar race-related disparities. For more details on these studies, click here. The Ohio study of the death penalty found that those who murder in Hamilton County (the location of Cincinnati) are 6.2 times more likely to receive the death penalty than those who murder in Franklin County (the location of Columbus). Similar studies have found that the local politics of the crime scene is also influential, in that areas that are strongly Republican are much more likely to hand down sentences of death than those that are strongly Democratic. For more information on the impact of geography on death sentences, click here. It is because of this church's commitment to justice that we oppose the death penalty. Lutheran Christians have called for an assault on the root causes of violent crime,  an assault for which executions are no substitute. The ongoing controversy surrounding the death penalty shows the weaknesses of its justifications. We would be a better society by joining the many nations that have already abolished capital punishment. We believe the death penalty denies the power of Christ to redeem, restore and transform all human beings. The United Methodist Church is deeply concerned about crime throughout the world and the value of any life taken by a murder or homicide. We believe all human life is sacred and created by God and therefore, we must see all human life as significant and valuable. When governments implement the death penalty (capital punishment), then the life of the convicted person is devalued and all possibility of change in that person's life ends. We believe in the resurrection of Jesus Christ and that the possibility of reconciliation with Christ comes through repentance. This gift of reconciliation is offered to all individuals without exception and gives all life new dignity and sacredness. For this reason, we oppose the death penalty (capital punishment) and urge its elimination from all criminal codes. --From the Book of Discipline of the United Methodist Church, 2004.
c. Work for the improvement of the justices system to make less radical means available for dealing with persons who are a serious threat to themselves and to the safety and welfare of society.